Well, I think Spring is finally here! After months of work to repair and decorate the outside of our Grade 2 listed building, including a new finial at the front (a very tall pointy thing at the top of the apex), the Scaffolding is down, the garden is beginning to bloom and the lavender at the front of our practice is slowly waking up after a long Winter’s sleep. Big thanks to Jez Hill, who became part of our team while he worked on the building. He was so easy to have in the practice and did some inside projects when the weather was too bad to work outside. You will all be pleased to know that our lovely nurse, Lucia, is now the proud mum of little Jakub, and mother and son are doing very well. We are very pleased for her and are looking forward to welcoming her back to the practice later this year. While Lucia is enjoying her maternity leave, we are really pleased to welcome Sarah as a new member of our nursing team. 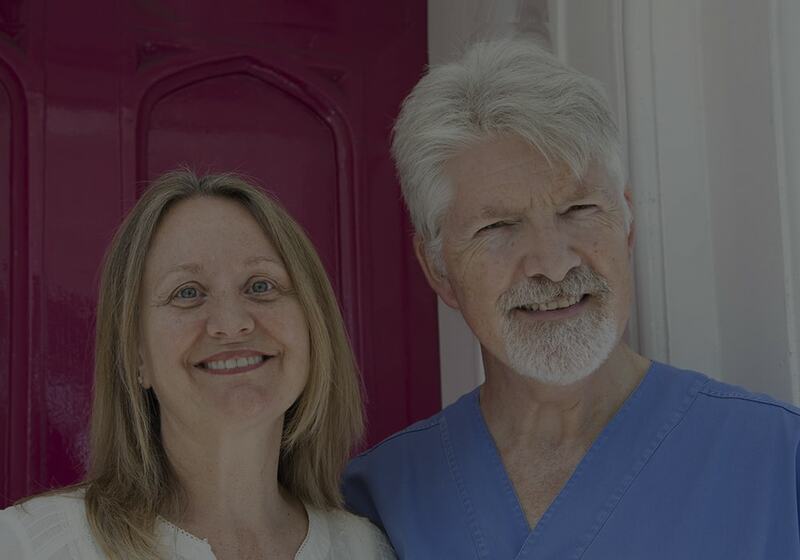 She worked with us for many years some time ago, but after a career change and a move to the Royal Devon and Exeter Hospital, she has returned to dental nursing. Sarah has already proved to be a great addition to our hard working team, with patients telling us how much they appreciate her caring approach in the surgery. Sadly, we will be saying goodbye to Bardia at the end of March. Dr Aram has been working with us as an associate dentist for nearly two years and we have loved having him here. He told me yesterday that he has enjoyed being at Contemporary Dental so much that it hasn’t really felt like work! Bardia and his wife Jeanette (also a dentist) are beginning a new business venture and we wish them great success – they really deserve it! Finding an excellent associate to replace Bardia will take us some time, so Bob will be increasing his working hours for the time being. We will make sure everyone is well looked after, so don’t worry – there will be plenty of appointments available! Bob and I are now the proud Grandparents of our fourth Grand Daughter, bringing the total tally to seven Grand Children. She decided to arrive four weeks early, so a lovely Spring surprise. In fact, she arrived so early, she still doesn’t have a name! 2018 has, so far, been much like the weather – plenty of change with a little drama! But I think a little of the right kind of stress is good for us. It focuses our attention on what is important and puts the less important issues into perspective. We all know how important it is to look after our mouths – it makes a real difference to our overall health, our self-esteem and our confidence. Your routine examination and hygiene appointments are an important part of looking after yourself and living a healthy life. Bob and I and our whole team are looking forward to seeing all of you throughout the rest of the year, helping you, our clients, to work towards being healthy and pain free. Any member of our Team will be happy to arrange appointments for you. 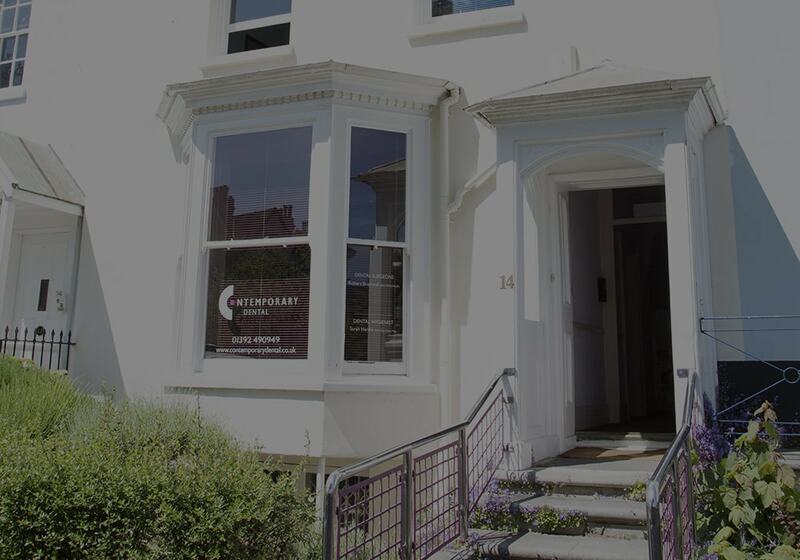 • book online via our website: contemporarydental.co.uk. What do you use your teeth for? Recently, Bob and I attended for our routine eye tests. While I was waiting my turn, I was reading a magazine, minding my own business, when I heard one of the team at Boots opticians say to Bob “What do you use your eyes for?” I fell about laughing – it seemed such a daft question! Well, he uses them for seeing – obviously. What she meant, of course, was did he read a lot, did he do any sports, did he work with computers, did he watch TV or play video games? She needed to know about his life and what was important to him. Well, there are the obvious things like eating, smiling and speaking, but having a healthy mouth can make a real difference to our lives. Our relationships, our confidence, our careers, our social lives and our overall health – they all can be improved and enhanced when our mouths are healthy and pain free. Gum disease has been shown to be a contributing factor in many health problems from digestive disorders to stroke, heart disease and diabetes, so a visit to our hygienist means so much more than just a brighter smile. Poorly fitting dentures can be a real problem, but did you know we can use implants to secure bridges and dentures? Enjoying your meals, and perhaps going out to dinner, can be part of your life again! Our website is full of useful information and advice – a good place to start if you’re considering treatment. Or just call us on 01392 490949, and any member of our team will be pleased to help. If budgeting for your dental care is important to you, have you considered joining Denplan? Fees start from as little as £15 a month, to cover your routine examinations and hygiene appointments. Denplan patients receive a 10% discount on treatment fees! (excluding implants or surgical procedures). All Denplan patients qualify for a 3 year guarantee on restorative work (not including root canal treatment) providing they attend regularly! Denplan membership includes worldwide emergency cover. If you are interested in joining Denplan, just email us or speak to our reception team and we will be pleased to help – have a look at the dental plan section on our website. Denplan is an excellent way to look after your oral health, as well as offering extra benefits. And don’t forget 0% Finance is still available to our patients as a payment option for treatment plans with a value of more than £500. We use Finance4Patients to allow our clients to budget for the treatment they need, rather than having to delay their appointments. If you can eat, talk, sing, smile, and laugh out loud then you are well on the way to being a healthy and happy individual. Let us make the difference. Why wouldn’t you?